Next time you eat in a restaurant and indulge in a calorie-laden rich desert, blame it on the music. Studies now show that loud music compels us to make unhealthy food choices. We gravitate toward healthier items when the music volume is low. In the garden, you don’t need the right music to make smart choices. 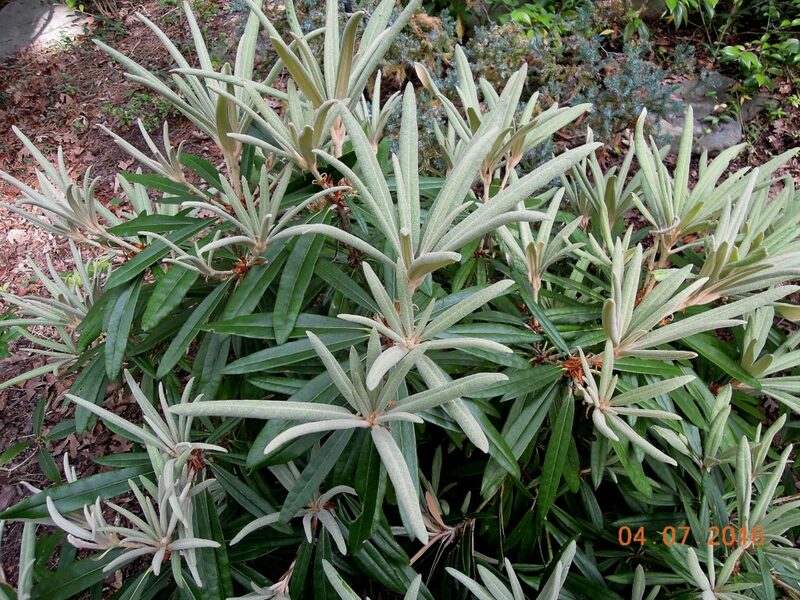 I found the perfect apricot-pink flowered, dark-leafed beauty for my favorite pot. (Alas, no name-tag.) Photos below. 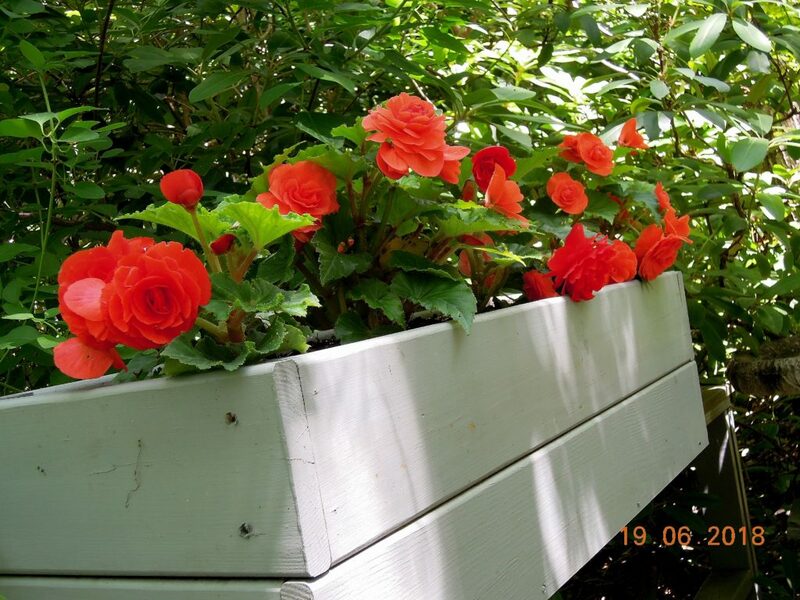 A fixed container on the front door stair landing was paired with a handsome selection of orange tuberous begonias. (Also nameless.) Photos below. 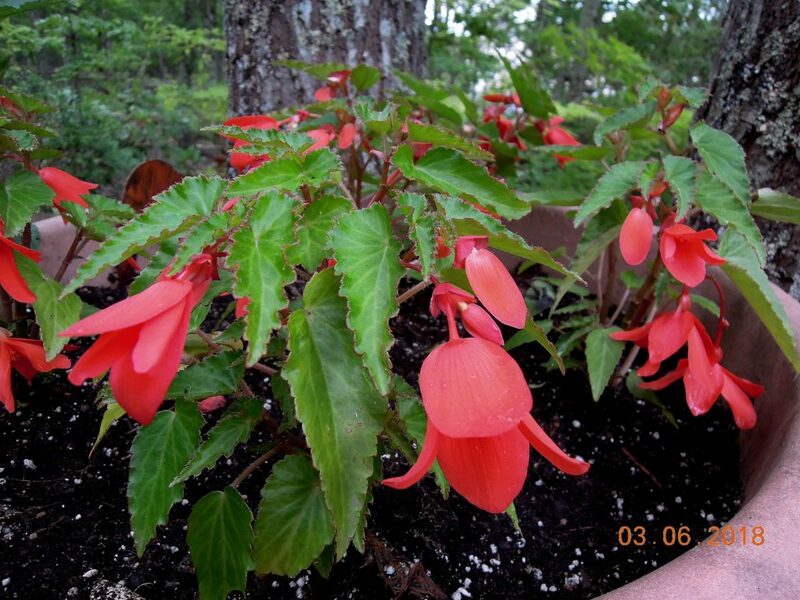 And a large container in the back-garden dazzles with the tried-and-true, award-winning Begonia ‘Encanto Orange’. Photo below. 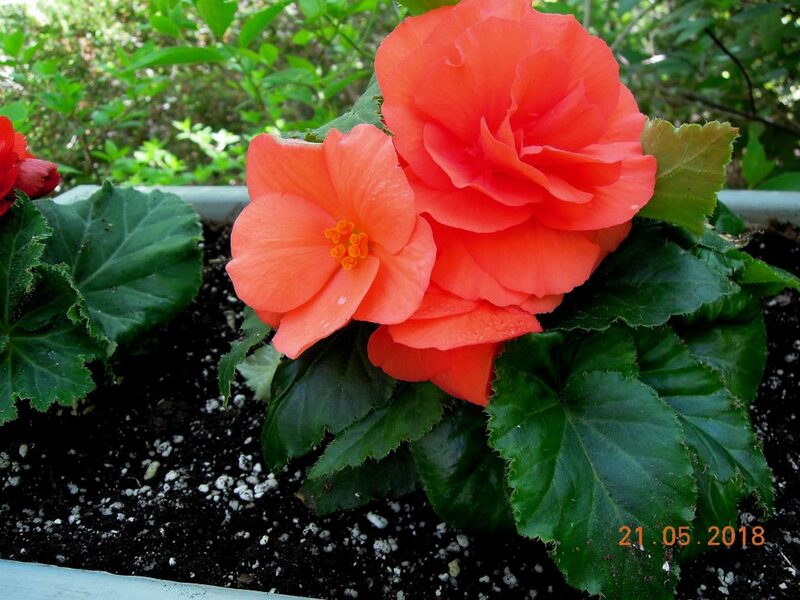 Begonias appreciate compost-rich soil, shade, and, if it doesn’t rain, weekly watering. 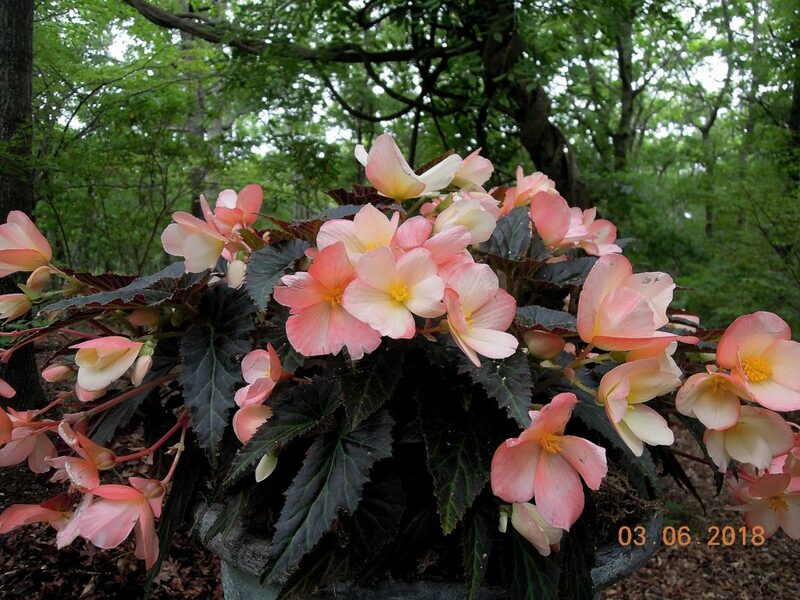 My go-to sources for Begonias are Marders Garden Center, Bridgehampton, NY and Halsey Farm & Nursery, Watermill, NY. 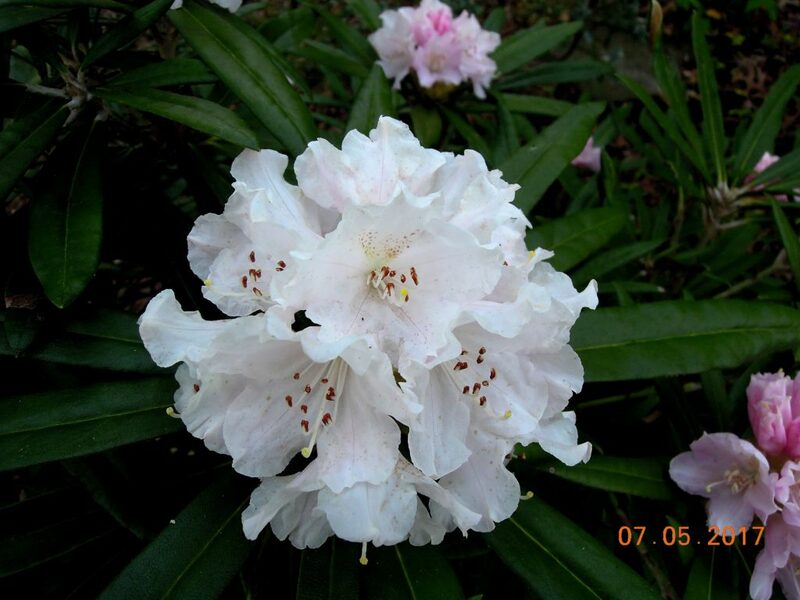 In the Fall, I wrote about another wonderful shade lover, Rhododendron Bloom-A-Thon Pink Double. (See post “Autumn 2017: Snap, Crackle, and Pop”.) 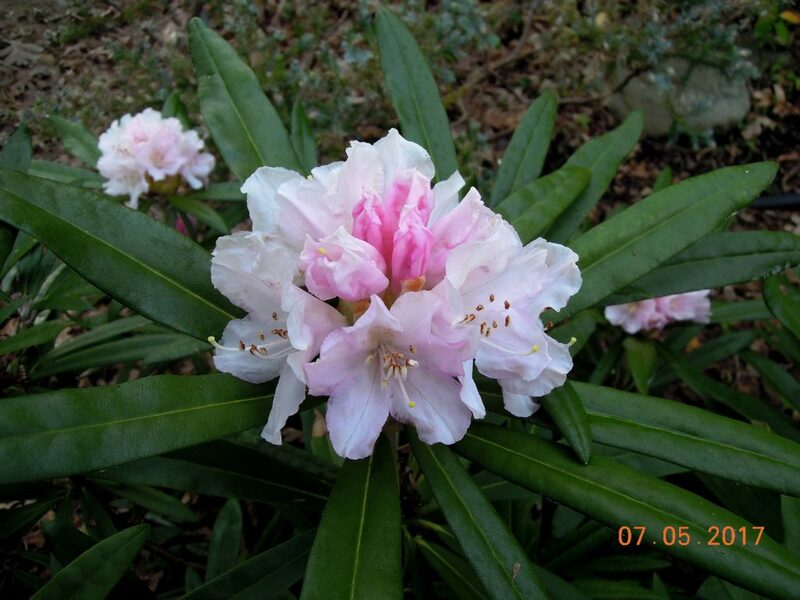 This hardy evergreen azalea bloomed in October 2017, survived the horrific winter, and rebloomed this June. A star performer. June Photo below. 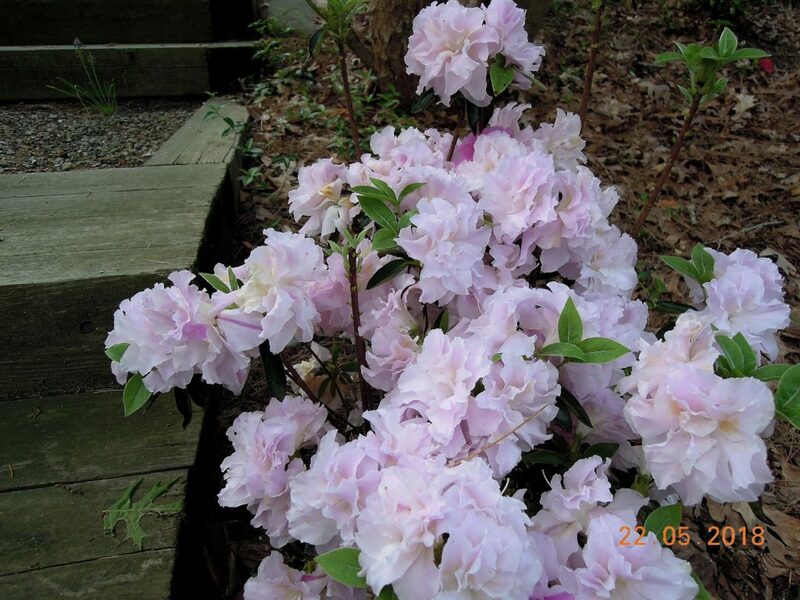 I purchased Bloom-A-Thon Pink Double from Rarefind Nursery in Jackson, NJ. 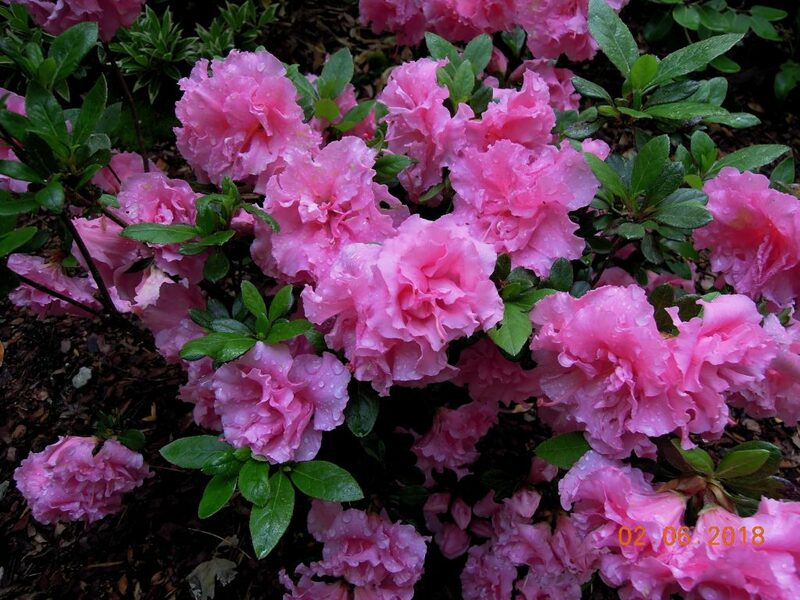 And I scored again in 2018 with their luscious offering, the evergreen azalea R. ‘Mrs. Nancy Dipple’. Finally! Nancy is mine! It’s been over ten years since I first saw her on a garden tour and added her to my wish list. Photo below. All of the above are healthy choices. Indulge away! 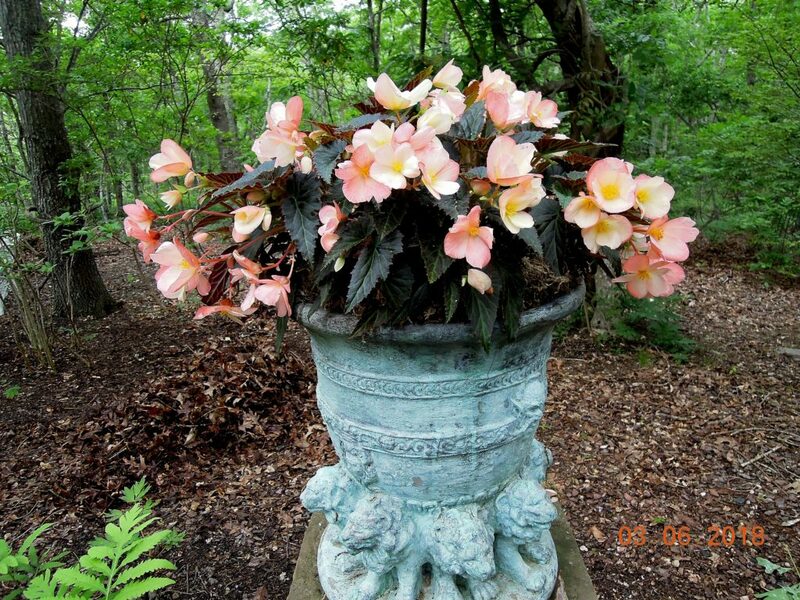 ADDENDUM June 22: Just got word from Marders, the apricot-pink Begonia, featured above in my favorite pot, is called Unstoppable Salmon. 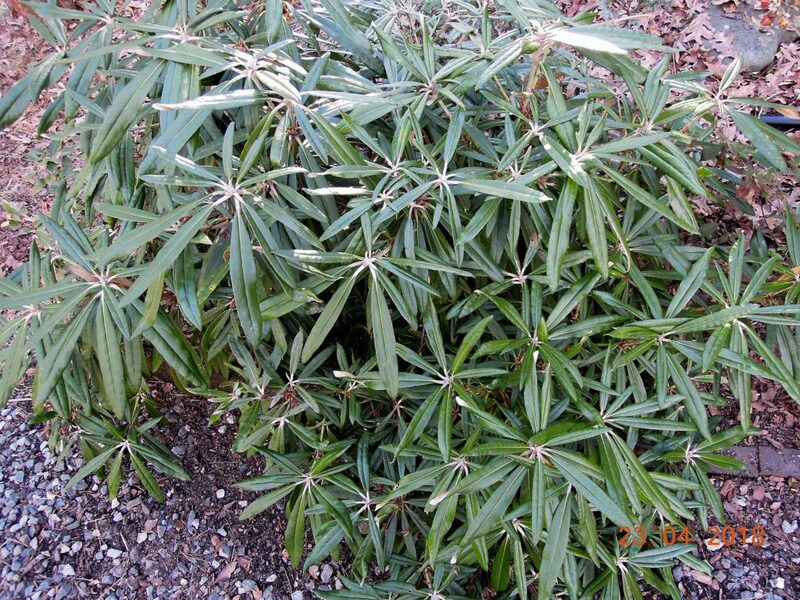 This entry was posted on June 21, 2018, in Flowering Shrubs, Organic Gardening, Shade Gardening, Trees and Shrubs. Bookmark the permalink.